I have Sinful Colors Silver Screen for you today. 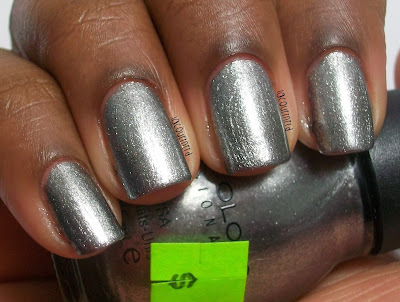 I've been wanting a metallic silver polish for quite some time. The only thing that was stopping me was because I'm not really a fan of metallic polishes, so I never bought one. I'm still not used to it being on my nails, but I think it looks okay. 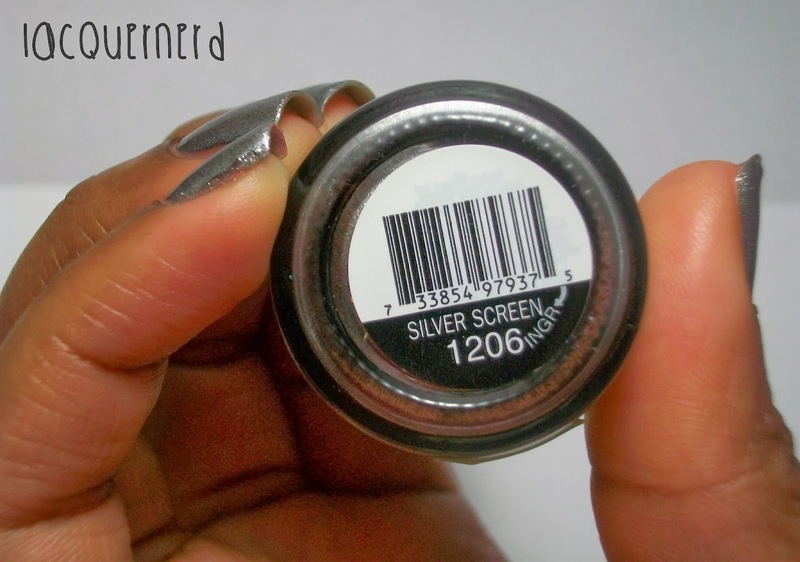 I purchased this polish from Rite Aid for $.99. I think the display was Country Chic (correct me if I'm wrong) and all the polishes from that collection were $.99. I'm also guessing that this sale is just in Rite Aid stores. If you're looking for colors in that collection, it's best to pick them up while they're on sale. 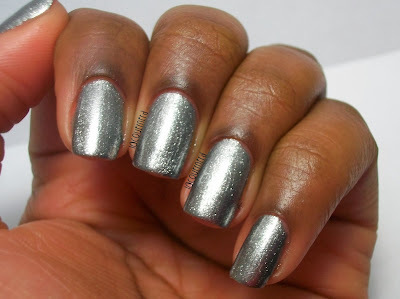 Sinful Color's Silver Screen is a frosty metallic silver. This is two coats without a top coat. The application and formula were good to work with. I really had no problems with this polish. As far as me wearing this, I don't think I would wear this by itself on all my nails. I would use it as an accent nail or for nail art if anything, or maybe bust it out during Christmas or New Year's. It's just a personal preference lol. What do you think of this polish? 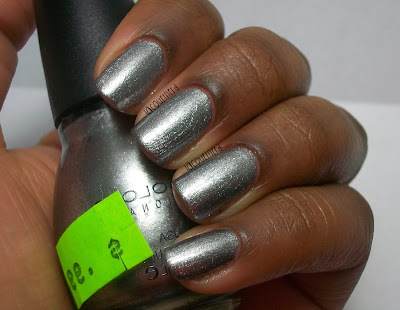 What's your opinion on metallic polishes? I am no big fan of metallic polishes, too. When it's up to such mirror-like colours, my skin looks pale. Nevertheless there's something I like about SIlver Screen. It reminds me of New Year's Eve :-). This would be great for stamping! I wish I could actually find my stamper though lol.